Infrastructure improvements such as the Dubai Tram and planned fast tracking of Dubai Metro's AED 5 billion Red Line extension to Al Maktoum International Airport are set to majorly improve Dubai's connectivity in the lead up to Expo 2020 and ensure sustained real estate demand across the city. 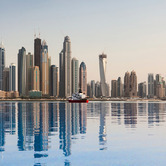 Renewed confidence in the real estate market complimented by a number of initiatives introduced by the authorities, including a vision of attracting 20 million visitors per year to Dubai by 2020, are driving buyer interest. As the city shifts towards the south of Dubai, many popular areas including Tecom, Jumeirah Lake Towers (JLT), Dubai Marina and particularly Jumeirah Beach Residence (JBR) are becoming increasingly attractive to investors as infrastructure and retail developments continue to evolve. Despite its relative maturity, having launched in 2002, Cluttons has recorded a consistently high level of buyer demand for JBR properties, which is underpinned by the cosmopolitan lifestyle that resonates throughout this area of Dubai. The current strength of buyer demand in Dubai Marina has been further bolstered by the enhancement of critical infrastructure in and around this popular residential location. The prime positioning of Dubai Marina on the coast has undoubtedly played a significant role in driving interest in this coastal community. 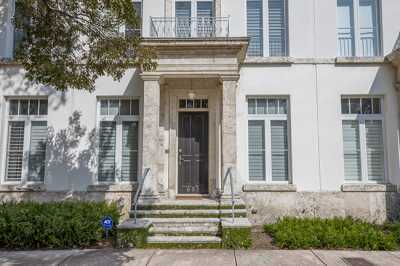 Not only are we seeing a rise in the pace at which individual buyers are closing deals, but, we are also recording a sharp upturn in investor appetite for both tenanted and vacant buildings. This interest is being driven by attractive yields, which currently hover around the 6 percent to 8 percent mark. 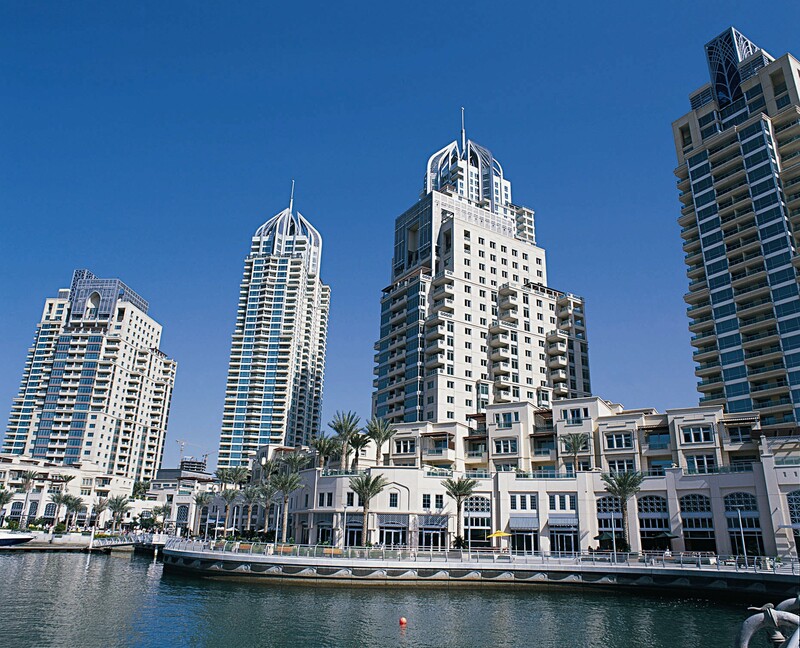 On the other hand, end user appetite remains equally strong and a good example would be the recent launch of the two bedroom apartments at JBR's Shams 1 building, which is situated at the western end of the Marina. Furthermore, the building's proximity to the new tram station means that we anticipate continued brisk sales, given the depth of the buyer base for what is essentially luxury beachside living. Moreover, the on-going construction of the Bluewaters development, which will feature the world's largest ferris wheel, the Dubai Eye, will ensure continued interest in schemes on the Dubai Marina coast, with JBR likely to emerge as the biggest beneficiary of the on-going investment in this part of Dubai Marina. The JBR community within Dubai Marina remains a top target for buyers, underpinned by its beachfront location, multitude of amenities and accessible transport links, which together creates a very desirable lifestyle. In addition to the existing depth of retail options at Dubai Marina provided by Marina Mall, The Walk and the Jumeirah Beach Residence retail colonnade, Meraas' The Beach is expected to add a whole new dimension to the range of offerings, by providing residents of Dubai Marina and JBR with the region's first beach shopping destination. The California-style beach front mall has a distinct outdoor focus and also includes a cineplex. The eagerly anticipated opening of the tram network later this year is expected to positively impact on residential values and generate further appetite from both domestic and international buyers. 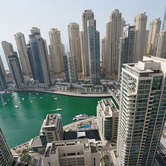 Last year, AED 236 billion ($64 billion) worth of real estate transactions were recorded across the emirates, with Dubai Marina claiming the biggest proportion of deals (AED 15.3 billion, or $4.2 billion), underscoring the appeal of the area. 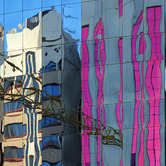 Steve Morgan is head of the Middle East for Cluttons, the international property consultancy. 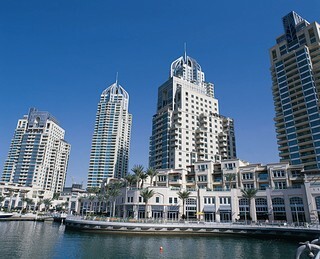 International occupiers of office and industrial space have demonstrated renewed confidence in Dubai. Infrastructure improvements are set to majorly improve Dubai's connectivity in the lead up to Expo 2020. 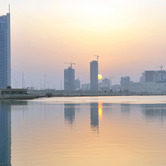 The hospitality market in Bahrain has suffered greatly over the last three years. Does Going Green Pay for Commercial Real Estate? The prominent role of real estate is increasingly recognized in the wider debate on climate change, and in today's society it is impossible to place real estate outside the context of the environment. Last month, the Bureau of International Expositions (BIE) met to review the legitimacy and preparedness of the five city-bids to host the 2020 edition of the World Expo. For Dubai, the odds certainly appear to have improved over the past six months.